Valentines Day isn't a holiday I usually put a lot of effort into, but I still want my kids to feel excited about it and share the love. Making these hats was easy and made my kids get all hyped up for the big day. I went to Walmart and bought a few stickers and some red pipe cleaners. 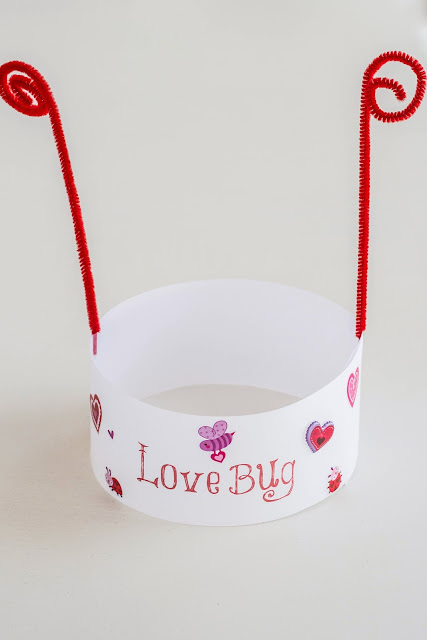 I printed off the words "Love Bug" on paper and cut it into strips to make a headband for the kiddos. 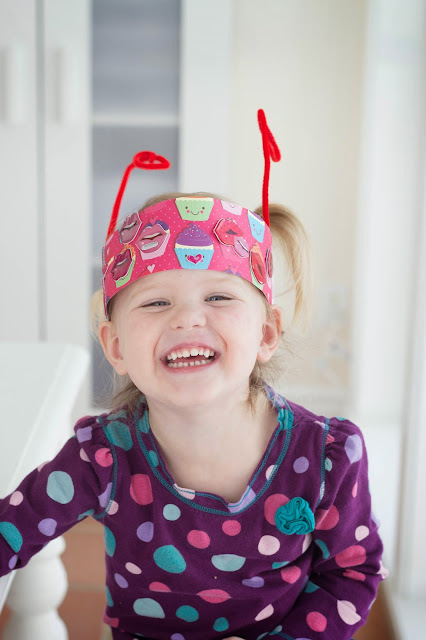 The kids got to decorate the hats however they wanted and they got to make some for their friends - adorable and fun! 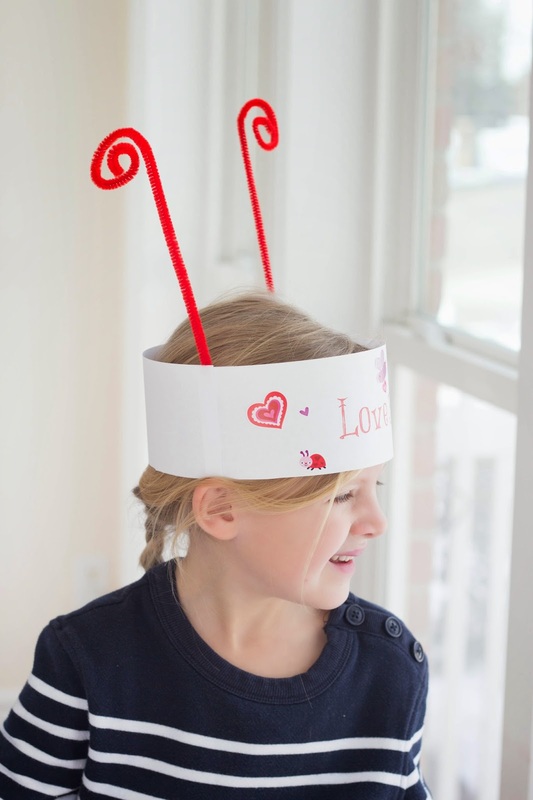 The best part about this was that my kids could make most of it all on their own, and that's a winning Valentines kid craft! How cute! I was looking for a cute Valentine's activity. I'll have to try these on my kiddos. Your kids make me laugh! They're just so cute!